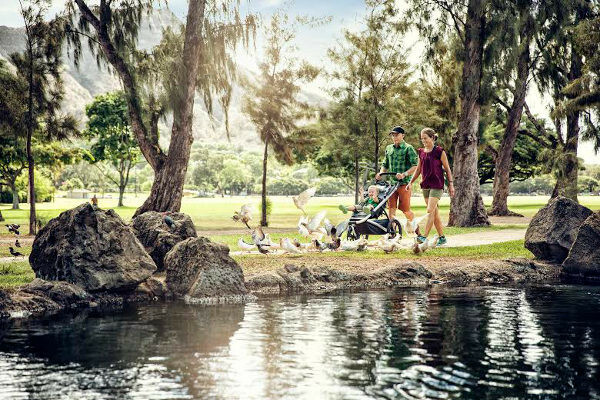 Are you looking for a pram that can handle everything from a fast-paced morning run to a casual afternoon stroll or cafe stop, without compromising on style, practicality or manoeuvrability? Then, Babyologists, look no further as we have found just what you need. 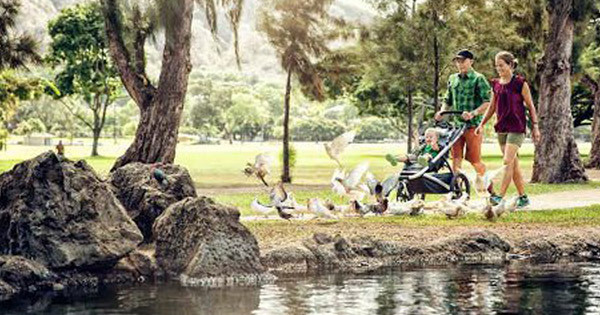 Thule are well known in Australia for products that simplify getting out and about with a family. Their car roof carriers and racks are particularly popular for families who need more storage for travel without getting a bigger car. 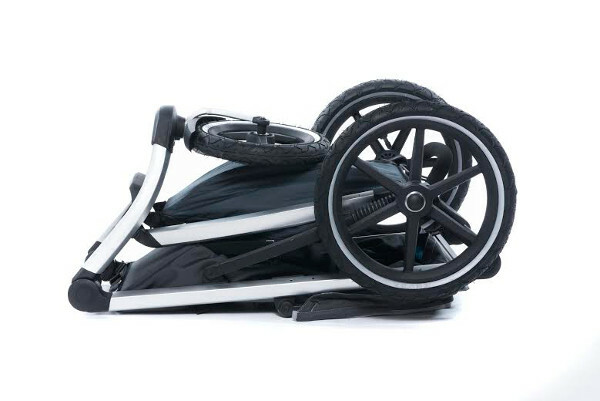 Well, Thule have moved into the pram market, with the release of the Thule Urban Glide. The Thule Urban Glide has everything an active family needs in a pram, with sleek good looks as the cherry on top of a very practical cake. It is little wonder then, that it was the winner of the 2014 Red Dot Design award. 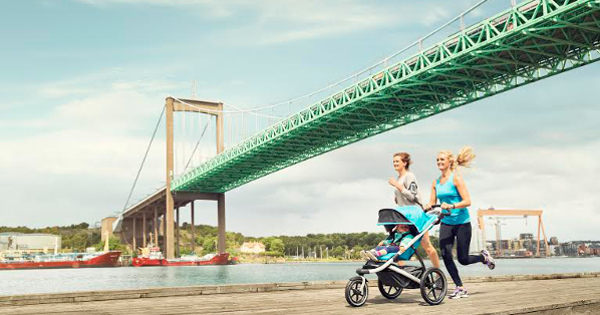 All terrain and jogging prams can be heavy and awkward, but not the Thule Urban Glide. It is one of the lightest prams available in its category at just 10.4kgs, and has a simple one hand folding mechanism, making it easy to wrangle both your baby and the pram at the same time. Not only is the Urban Glide easy to lift into the boot because of its light weight, the compact fold means that it will actually fit in as well. The practicalities of the Thule Urban Glide don’t stop there. The Urban Glide’s comfortable, padded seat lies almost completely flat and is suitable for a newborn and has a maximum weight rating of a whopping 34kgs (that is more than my six-year-old and a week’s worth of milk and bread combined!). It has an ingenious multi-position sun canopy to protect your little one no matter how low the sun, and a height adjustable five-point harness. One of the really cool features of this pram is the extra large underseat storage that comes with a zip closure, great for securing items as well as waterproofing. No more soaking wet shopping or baby gear after being stuck in the rain! As an added bonus, it will also keep small hands from emptying the basket as your pram sits in the hallway (one of my one-year-old’s favourite games). 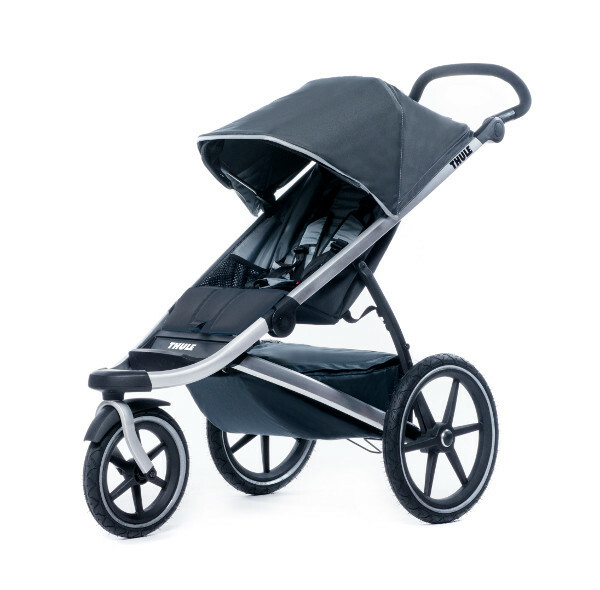 The Thule Urban Glide has a host of features that make it a great running pram. While not a dedicated jogger, its sixteen inch rear wheels and rear suspension make it perfect for the family who plan on jogging with their kids. The height adjustable handlebar works for parents of different heights, as well as for varying preferences of handle height whether jogging or strolling around the shops. Thule has a number of accessories for the Urban Glide, including a car seat adaptor that has been updated to fit Australian car seats including the Nuna Pipa, Peg Perego Primo Viaggio SL, Chicco Key Fit Plus and Britax Safe n Sound Unity. The Thule Urban Glide retails for $749 and is coming in March 2015 to Baby Bunting and Babies R Us store nationally. It is available now at Babyography and Baby Village.